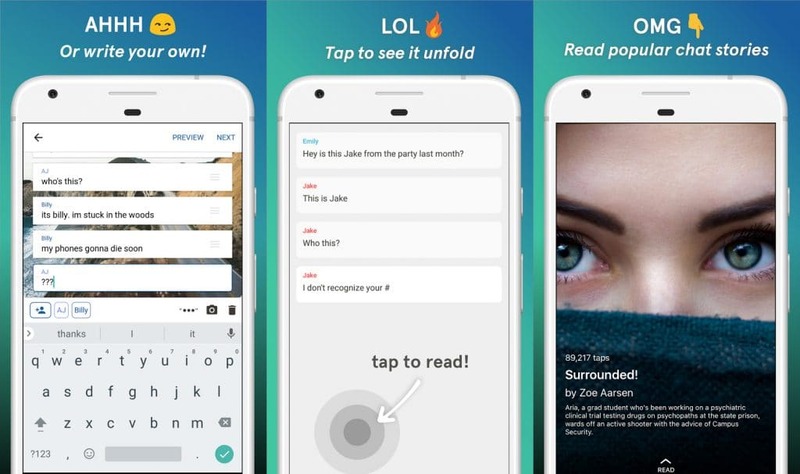 Tap by Wattpad is a free app for short, chat-style stories. The stories unfold via chat messages, as if you’re reading someone’s text conversation. You move the story forward by simply tapping to reveal the next part. WattPad is experiencing tremendous success with this new app and over 125 million Taps recorded in the past few weeks. One of the big reasons why Tap is so popular is primarily due to the Create feature that lets people create interactive stories in a variety of languages using a combination of text, images, and emojis. Storytellers can create custom story covers and can even help set the mood for their readers by adding images to appear behind the story’s chat bubbles. As soon as a story is created, writers can share it with others on social media, through email, and text message. Drunk & Hangry with Chrissy Teigen – a series of texts from Chrissy to her husband John Legend, begging him to make her something to eat. Buried Alive – A man is kidnapped and buried alive. He texts his wife for help, only to discover something sinister. Academy Awards – a text conversation between Meryl Streep and a member of the Academy of Motion Picture Arts and Sciences who asks her to please stop being such a good actress. Virtual Boyfriend – Allison downloads a Virtual Boyfriend app and begins chatting with him. Things get creepy when her ‘boyfriend’ turns out to be the ultimate stalker. Barack and the Trump Train – a text conversation between Donald Trump and Barack Obama where Donald asks for a big presidential favor. You can download WattPad Tap from the Good e-Reader App Store or iTunes.